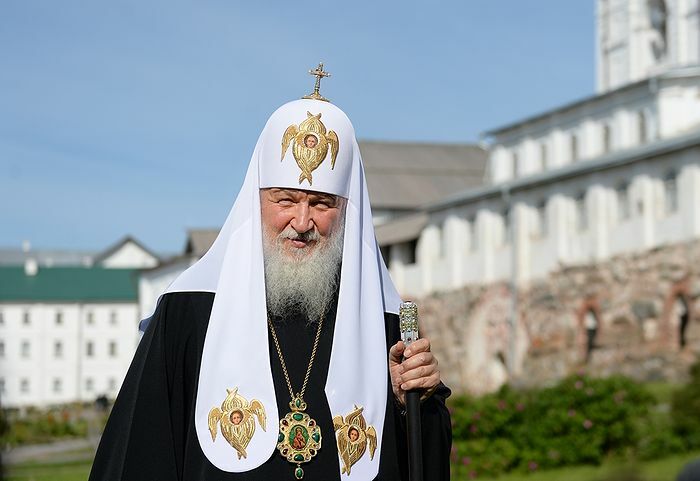 Editor's note: We occasionally carry the homilies of the head of the Russian church, the patriarch, not because of his position, but because we find him genuinely fascinating, and think people outside Russia should know more about him. He is a truly extraordinary person, in terms of his energy, political and administrative skills, his intelligence, and his skill as an orator. He can speak extemporaneously in complete paragraphs that sound like they were written by a speechwriter, with great charisma, seemingly indefinitely. He never reads his speeches. Some people think he’s great, but he also has his detractors. Without getting into that discussion, our point is - he is very unusual, a force of nature, if you will. He is also very public, omnipresent on TV, giving interviews, making speeches, crisscrossing his enormous country in a private jet with journalists in tow, struggling to keep up with him. He is indefatigable. Western countries have nothing like him to call their own. His speeches and homilies are often simply excellent. That is why we carry them. To the extent that we find good translations of him on video, we will carry them on this site, so that people get a better sense of what he is like. Here is an example of him giving a homily. Podvig is generally an action taken not for your own sake, but for the sake of something else—an idea, your motherland, or your neighbor. Podvig is an action that brings risks for the one performing it, even to the point of laying down his life. 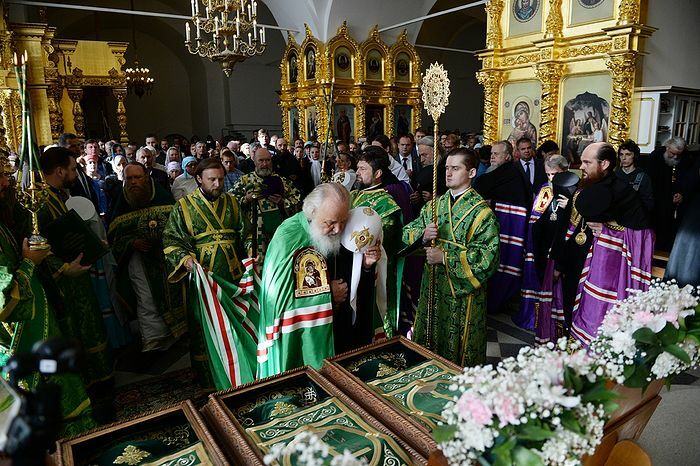 Nevertheless, people perform podvigs, and if we think about what podvizhnichestvo (the performing of podvigs) is, we cannot but ask the question: Is there a place for podvig in the materialistic concept of human life, without at all taking into consideration a higher power or divine presence? The answer is a resounding “no”! After all, a materialistic approach presupposes that man’s main goal is the preservation of his own life. That is how it is in the animal kingdom, where the main task is survival. True, we find amazing examples of selflessness in the animal world as well—most often in the case of mothers defending their offspring. But when the period of motherhood passes, that same mother can even attack her own child. Not because animals are cruel, but because such are the conditions of survival: If you want to survive, you have to use all your strength to do so. That is how the human race would also have developed if man were of animal and not divine origin. Where does man get his completely different values system? Where does he get his ability not only to restrain himself but also to give his life for the sake of another, be it a person or a great idea? The very phenomenon of podvig is testimony to man’s divine origin and to the presence of God in human life. If a monk performs a podvig just for the sake of podvig, if his podvizhnechestvo does not lead to real changes in spiritual life, then this is not podvig but temptation. Podvig is always a means, and holy monastic fathers came here not for the sake of testing themselves, not for the sake of victory over difficult external conditions, but in order to immerse themselves in an atmosphere that is better suited for coming closer to God—because the denial of your own ego is the path to God. Modern people sometimes do astounding things. There are extreme sports where there is great danger of dying or becoming an invalid. By doing such sports a person restrains himself to an unbelievable degree and takes colossal risks; but it’s all just for himself. He is either asserting himself in his own eyes, or dreaming of glory, gold medals, or monetary reward. Extreme sports is not podvig. But those who have died defending their homeland were not extreme sportsmen—they didn’t even know that word. They went and died not for themselves but for their homeland. And when Christian martyrs—not only those of the first centuries but also of recent times, like those who languished in the Solovki prison camp—died for the faith, and this was not extremism, it was podvig. Not for themselves but for Christ did they die. We find the following words in the writings of St. Simeon the New Theologian: As a candle partakes of light, so does man through podvig partake of divine light. If there is no podvig, there is no participation in divine light. Our holy fathers Zosima, Savatty, and Herman teach us this. Every time I visit Solovki I see that the brothers here are not living in easy conditions, not wearing velvet or silk. Here are difficult conditions for life, but thanks to these conditions, which you have chosen voluntarily my dear brothers, divine light can burn in your hearts. Never complain, never turn away from hardships, because turning away from hardships, looking for easy obediences would contradict the very fact of your being here on obediences would contradict the very fact of your being here on Solovki. I could say the same to every monastic in every monastery. Without podvig there is no salvation for a monk. It is for this very reason that people are drawn to monasteries and monastic spiritual fathers, wishing to partake of their wisdom and experience. But what wisdom can there be if you yourself have no experience? Therefore the monastery brothers have a great responsibility, that through podvig they might come closer to the Lord and thereby fulfill their calling; after all, the Lord Jesus Christ also went out to serve society through podvig. He spent forty days and nights in the desert without food or drink, and not because he had a divine nature—after all, His human nature wanted to eat and drink—but because He understood the need to pass through this trial, so that He might come out and serve society as the Son of God and Son of Man. Holy Transfiguration Solovki Monastery, August 21, 2017. What is spiritual blindness? It is people’s inability to see into the essence of what is happening around them. It is the inability to see good and evil, to discern truth from lies. The spiritually blind person is like a vessel in the ocean without a navigator. If the captain has no idea where the vessel is located, where it is going, where the reefs are and where the calm waters are, where it is shallow and where it is sufficiently deep, then such a vessel will most likely shipwreck. It is the same in our lives—if a person has no spiritual vision he is taking a great risk. He can choose the wrong way of life, the wrong path in life. He can join his fate with a person in whom he did not see, did not discern evil from good or good from evil. And how often this happens! How many human tragedies happen only because a young man and woman who have fallen in love and want to unite their fates were not able to recognize each others’ true inner state! Beyond the outward amicability and affectionate treatment may hide a very dangerous person, and we know that many marriages break up for this very reason. We often have to hear, “How could I not have seen it? Why did this happen?” It happened because there was no spiritual sight. But this does not only happen in our personal life—it also happens in the life of society, a nation. This year we remember the 100th anniversary of the bloody revolution. In those days we were also unable to make sense of it; many then also had no spiritual sight. People called themselves Christians, but they could not discern pretty words from the real essence of what was being offered, and what was being offered was violence—a change in the life of the country through death and suffering, under the pretext that life would be better. What is there to say about the past! Don’t we make mistakes now? Aren’t we also now fascinated with pretty words and various promises? This happens in politics, and in the media, when people are drawn in by certain false ideas. They create for themselves idols, they are ready to obey them and do as the idols teach them. The result is human tragedy, conflicts, and disappointment—not to mention such terrible consequences as total life catastrophes, when people don’t have the strength to live, and not having faith within their hearts, they even take their own lives. The lack of spiritual sight is a catastrophe; it is danger on an enormous scale for the person, for society, for the nation. Who can give us this sight? No one but God. Very often when you go for confession to an elder, a person of holy life, you sense that he can feel and understand your inner life. It would seem that you didn’t tell him anything in particular, but just looking at you he sees, understands, and feels. This cannot be simply called intuition, because such a person’s sight is strictly connected with his manner of life, his faith, his closeness to God. When we grow in faith, when we obtain the habit of prayer, when we know how to talk with God, when we entrust our innermost thoughts and feelings to Him, when we repent before Him like we can’t repent even before our father-confessor, when we do not feel a dividing wall between ourselves and God, then the Lord opens our inner spiritual vision, each according to the measure of his faith and closeness to God. It is hard to fathom the spiritual sight that holy people possess. But even an ordinary person with no claims whatsoever to sanctity is capable of coming closer to God through his personal spiritual experience, so that his inner spiritual eyes are opened; so that he would suddenly see very much from another point of view, so that he would develop a stable, critical relationship to the huge amount of information that is crashing down on people today; to those words that sometimes draw us in, but lead not to the light, not to truth, not to a happy life, but to spiritual destruction. Spiritual sight is the trusty navigator for living a full life without falling into extremes, and without placing your life in danger. 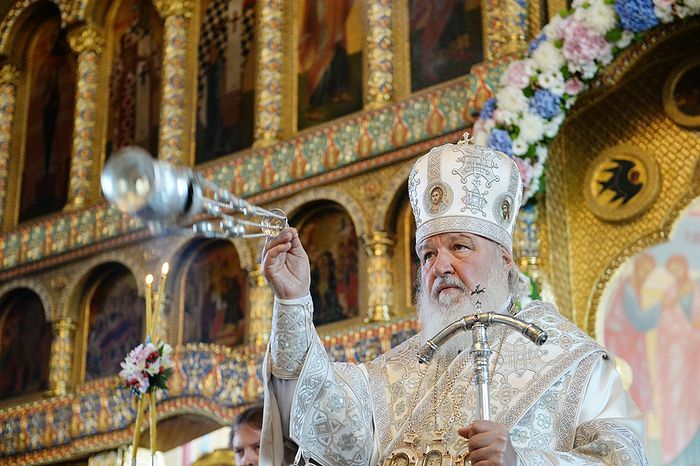 Can Orthodoxy Exist Without the Ecumenical Patriarchate?